The University of Washington is currently seeking approval for their plan to dramatically expand their main campus over the next ten years. Their plans as outlined in their proposed Campus Master Plan (UWCMP) would add up to 6,000,000 square feet of space to accommodate 8,500 more students and 4,700 additional employees by 2028. Over the past year, a coalition of stakeholders, including many labor, social justice, environmental, and transportation organizations has been monitoring the UWCMP as it worked its way through the City of Seattle’s approval process. Twenty-nine of these stakeholders (including Feet First) have appealed the City Hearing Examiner’s decision to approve, requesting additional conditions to mitigate the impact of the University’s expansion. Feet First is particularly interested in the impact of the UWCMP on the Burke-Gilman Trail. Trail use on campus is expected to increase 230% by the year 2030, thereby increasing the potential for collisions at the many conflict points along the trail. In 2017, work was completed on a project to upgrade the trail between 15thAvenue NE and Rainier Vista, widening the trail and separating pedestrians and bicyclists. Although there are plans to eventually upgrade the rest of the trail on campus (including the sections from 15th Avenue NE to Brooklyn Avenue and Rainier Vista to NE 45thStreet), the hearing examiner’s decision includes no firm requirement that the university complete these badly-needed trail improvements in a timely manner. The Seattle City Council’s Planning, Land Use, & Zoning Committee will hold a hearing on these appeals on Tuesday morning. A Feet First representative will testify, along with others who have appealed the hearing examiner. 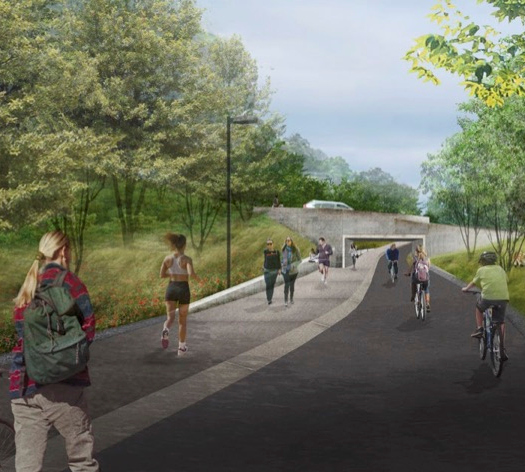 Although testimony from the general public will not be taken at this time, showing up will send a strong signal that people want the UW to complete the safety upgrades to the Burke-Gilman Trail in a timely manner.